How much does it cost to travel to Houston? How much money will you need in Houston? $153 is the average daily price for traveling in Houston. The average price of food for one day is $27. The average price of a hotel for a couple is $118. Additional pricing is in the table below. These average travel prices have been collected from other travelers to help you plan your own travel budget. The largest city in Texas and the fourth largest in the United States, Houston is a sprawling urban center that has grown from its wealth in the oil industry. Visitors today are drawn to its cultural diversity which has additionally made Houston a foodie destination. Other attractions to Houston include its proximity to NASA's Space Center Houston on the Gulf coast, and its Downtown which features a vibrant museum and arts scene, shopping, and dining. Though Houston covers a large area, the Downtown districts, at the heart of the city, feature some of the city's most sought after attractions. It is home to the Theater district, for example, which showcases the world-class Houston Grand Opera, as well as the Historic district, known for its 19th-century architecture and upscale restaurants. Other well-known sights include the Discovery Green Park, Market Square Park, the Downtown Aquarium, and Diverse Works art center. The rest of Houston has plenty to offer as well. Visit the Museum district for a vast array of venues that explore everything from natural science programs with a planetarium, dinosaur hall, and butterfly house to fine art exhibits featuring Egyptian antiquities, Impressionist art, and modern sculptures. The Houston Zoo is also a popular destination, as is the historic Hermann Park which is within walking distance from most of the museums. On the outskirts of the city, visit NASA's Space Center Houston for a tour and educational exhibits highlighting U.S. space travel. Also popular are day trips to nature centers like the Houston Arboretum and Nature Center or the Armand Bayou Nature Center for nature trails, exhibits, workshops, and events in various habitats. The city is divided into six wards, each one of which encompasses a number of districts within them. Downtown makes up the central ward. It is a big business and finance hub, further divided into the Skyline District, Theater District, Historic District, and Warehouse District. Neartown (divided into Montrose, Midtown, and EaDo-East End) is home to much of the LGBT population and has many fashion shops, eclectic boutiques, and antique stores. North Loop, which consists of The Heights and Washington Corridor, features many Victorian and early 20th century bungalows, many of which are the homes of artists, musicians, and other wealthy professionals . South Loop (made up of South Main, Museum District, and Med Center) features attractions like Hermann Park and Reliant Stadium, some of the world's best hospitals, and an area called the Rice Village which has plenty of restaurants, bars, and shopping. West Loop (divided into Uptown, River Oaks, Upper Kirby & Greenway, and West U) features high-end shopping, affluent neighborhoods and businesses, and plenty of great restaurants and nightlife. The final ward, Outside 610 (made up of West Houston, East Houston, and North Houston), encompass the district's on Houston's outskirts. Visitors often take daytrips to these areas, which include places like nature centers and the NASA Space Center Houston. 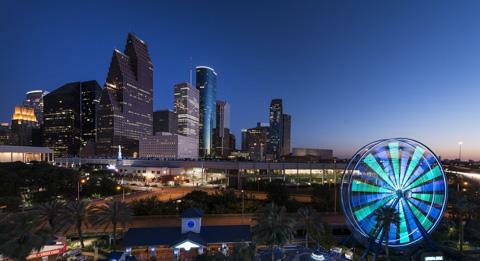 As a sprawling metropolis, Houston has just about any kind of activity one could ask for. Dining, shopping, and sightseeing or visiting museums, parks, the zoo or aquarium-there is always plenty to do. Additional activities include things like sporting events, festivals, and performing arts including dance, opera, Broadway musical, chamber, and symphonic music groups. Houston's ethnic diversity is reflected in its wide range of dining options. For Chinese food, visit Chinatown, or Old Chinatown near downtown; for Indian or Pakistani food, visit Houston's Little India (also known as the Mahatma Gandhi District); for Korean, Houston's Koreatown is located in Northwestern Houston. There is even an abundance of Kosher food in the Jewish community of Meyerland, and a selection of Ethiopian and Nigerian food on Bissonnet street in Southwestern Houston. The city is probably best-known, however, for its excellent Mexican food, Tex-Mex cuisine, classic Texas steakhouses, and Gulf Coast seafood. Stop by any local taqueria for some of the best culinary surprises, or indulge at a restaurant serving some fresh catches and oyster buffets with selections straight from the Gulf. Houston is served by two large commercial airports as well as two smaller regional airports. George Bush Intercontinental Airport is the largest, located about 23 miles north of the downtown. It is a major hub for United Airlines and is served by more than 20 additional domestic and international airlines. William P. Hobby Airport is the next largest, located 7 miles south of the downtown and served by airlines like Southwest, Delta, American, and JetBlue. The two smaller airports are Sugar Land Regional Airport and Ellington Field. Most visitors rent cars to explore the city from the airport, though shuttle, taxi, and public bus options are also available. Public transportation within the city is operated by METRO, and consists of local and express bus lines as well as a light rail system called METRORail. The best way to use this public transportation is to obtain a Q card.